Our relationship with the community means a great deal to all of us at C & V Income Tax Services. We strive to be a vital part of our community by not only financially supporting various organizations but being involved in many fundraisers and community events. It is the White Oaks community, the City of London and the surrounding areas that have helped to make C & V Income Tax Services the company that it is today, and we feel that the best way we can say thank you to our clients is to give back to the community. C & V Income Tax Services is joining together with South London Neighbourhood Resource Centre and Neighbourhood Resource Association of Westminster Park to help provide breakfast for the children of our community. C & V Income Tax Services is proud to support this vital program that provides a delicious breakfast to children and families in our community. 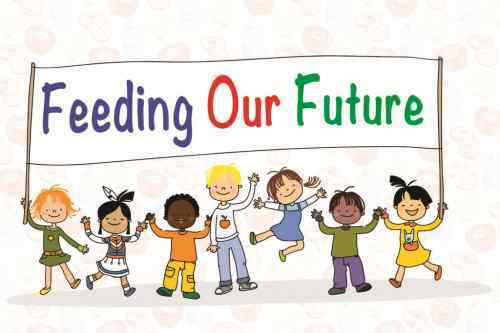 What is more important than feeding our future? Your donation will be matched 100% by C & V Income Tax Services, doubling the impact of your dollar. Together, let's see how many years we can feed our future! Our goal is to cover the program costs for a minimum of 5 years. • Together with our staff and clients, raised over $19,000 for the Bethany’s Hope Team2018 Campaign from January – July 2017. This charity is funding research to find a cure for those diagnosed with Metachromatic Leukodystrophy (MLD), a terrible disease which claimed the life of young Bethany McIntyre. The poor child struggled through incredible suffering while her family committed to fighting against the illness which veteran doctors referred to as hopeless. The McIntyre’s did not give up on the fight, and even after the tragic loss of Bethany, the fight continues in her honor. World Vision is one of our core charities. Children from vulnerable regions around the world need help to provide them with the basic necessities. We feel terrible for the situation these poor children are born into! This charity is so close to our hearts that we bring new children into our sponsorship year after year. We are currently Sponsoring 16 World Vision children in addition to another 17 children who have become self-sufficient and no longer require support. We have also sponsored the construction of several wells in remote areas to provide a sustainable water source for entire villages at a cost of $15,000 per well. 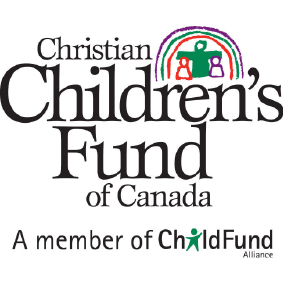 The Christian Children’s Fund is an organization dedicated to helping poverty-stricken children achieve their full potential through sponsorships. We are currently sponsoring 5 children in addition to another 9 children who have become self-sufficient and no longer require aid. Currently, C & V Income Tax Services is Sponsoring 9 families sponsored through Save a Family Plan in addition to another 12 families who are no longer in need of sponsorship. The Save a Family Plan organization has a six-year system designed to help impoverished families in India. By the end of the six-year plan, the families become self-sufficient and quite often are able to pass on their learned skills to friends and neighbors. This is a cause which we have now supported for over 10 years. Our local community is so important to us, so supporting kids in the White Oaks area fits into our values perfectly. This organization helps to support local families with young children by providing food for children including jarred baby food for infants, breakfasts for kids who may otherwise go to school hungry and even providing diapers! They also offer support groups for single and isolated mothers, a group for teen mothers, and a women’s parenting group for cultural issues which is facilitated in Arabic as well. We have been super happy to be able to support this organization with donations year after year. 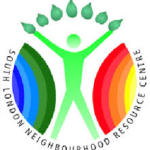 Letter of support from South London Neighbourhood Resource Centre. In 2009 C & V Income Tax Services became our Five Star Titled Sponsor with the purchase of 59 tickets to the event and with the generous donation of a 42” Samsung Plasma Television valued at $1,192.14. This television was auctioned off throughout the night to help raise additional funds. In 2010 the sponsorship was modified and C & V Income Tax Services became a Silver Sponsor with the purchase of 56 tickets and the donation of a Samsung 42” Plasma Big Screen HD Television valued at $1,108.80. Again this television was included in the auction and used to raise funds to support various programs throughout the year. Craigwood Youth Services is a fully accredited not-for-profit children’s mental health centre providing a variety of innovative youth-serving programs with locations in London and Ailsa Craig. In 2010 Craigwood amalgamated with another board and ended the annual Lobster Fest in lieu of other fundraising activities. Impact Malawi focuses on outreach to the country’s remote villages. They are committed to investing in the lives of young people in the poor villages. Through the nursery school program, the youngest in the villages are getting a head start on an education. The irrigation program opens the doors for young people in the villages to have sustainable income and food for their families during the dry season, as well as wells for clean drinking water which brings health and hope to everyone in the villages. C & V Income Tax Services is a multi-year supporter of the Friends of Orphans Canada. This organization provides homes for orphans where the children are provided health care, education, food, and clothing. This is done in a family setting where the children live under principles of love, acceptance, work, responsibility, and sharing. We are proud to donate $3000 to Friends of the Orphans Canada. President Crystal Volpe joined the team going to the Africa Mission through Friends of the Orphan Canada for 3 weeks in September 2018, donating her time to help rebuild Peggy’s House - an orphanage in South Africa. They also provide additional support outside of the orphanage by facilitating direct sponsorship of children, Christmas gifts, and taking Canadian children to volunteer to help and experience other cultures. 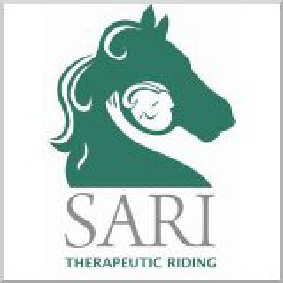 We began our relationship with this charity in 2010 when C & V Income Tax Services owner Crystal Volpe signed on as a volunteer in SARI’s Therapeutic horseback riding lessons. After learning of the “Adopt-a-Pony” program, they soon became a Gold Sponsor of the therapeutic horse “Cookie”. One year later Crystal fell in love with new miniature horses “Tinker” and “Belle” and adopted them as well. To date, we are quite proud to have contributed $33,000 to this charity! Knowing how much this particular charity means to Crystal, one year for a Christmas gift, the staff at C & V Income Tax Services contacted SARI without Crystal’s knowledge and pooled together for an additional donation in Crystal’s honour! 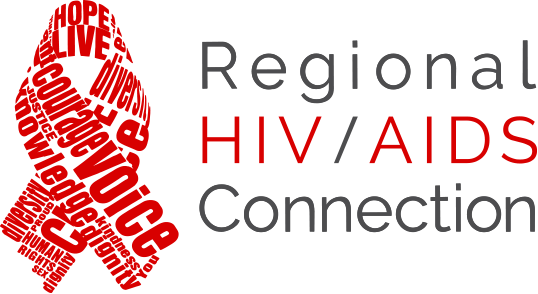 We proudly support the John Gordon Home which is a subsidiary of the Regional HIV/AIDS Connection. The John Gordon Home is a nine unit, supportive housing facility in a healthcare setting that provides regional services. They are dedicated to positively impacting the lives of individuals and diverse communities living with, at-risk for, or affected by HIV/AIDS, and Hepatitis-C.
JGH observes a harm-reduction model of care to residents that consistently present a complex range of medical and health challenges, including mental health illness, addictions/substance abuse, and homelessness. Over 5 years C & V Income Tax Services has contributed over $4200 in items for auctions as well as attending the events with our staff. We proudly donate prizes each year to the Matt Price Memorial Golf Tournament at the Belmont Community Centre. All proceeds were donated to the Belmont Kids’ Park Campaign which has now successfully completed the Belmont Splash Pad and the Matt Price Memorial Skate Pad.